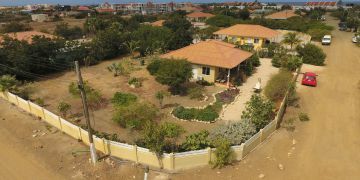 This townhouse offers you a good opportunity as a second home or as a vacation rental. 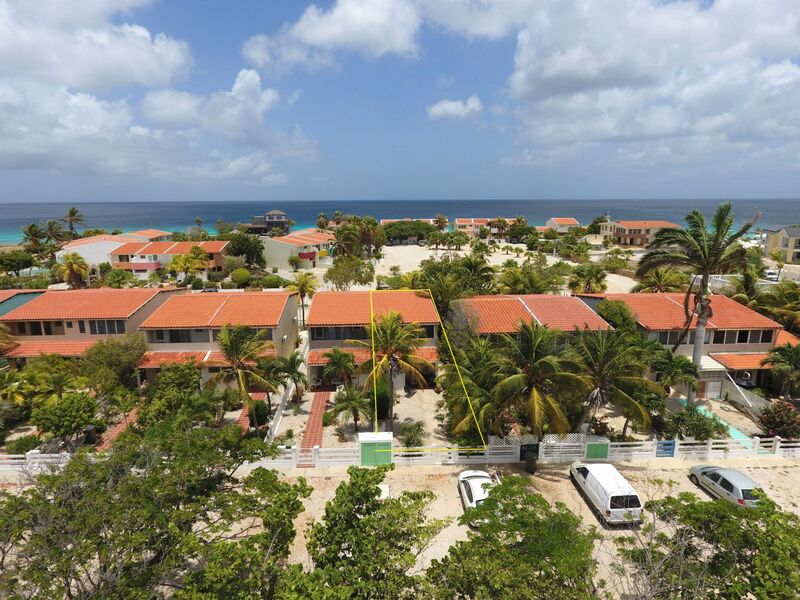 The location is close to perfect in the proximity of the crystal clear Caribbean Sea, diveshop & restaurant (neighboring Delfins Beach Resort). 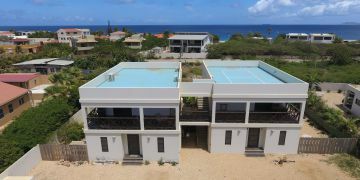 The popular divespots in the South part of Bonaire, kite-beach Atlantis and windsurf paradise Jibe City are just a few minutes by car. 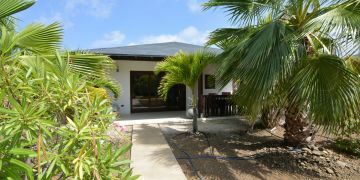 As an owner you have access to the shared pool and the sandy beach. This townhouse has its living space at first floor and sleeping/bathrooms at upper floor level. Landscaped garden with palm trees and white gravel stones. Entrance via uncovered porch into hall, kitchen (with pantry/storage room), living room with sliding doors to wide terrace, guest bathroom. Stairs to upper floor with two bedrooms both with en-suite bathrooms, walk-in closet and 1 covered balcony at Westside bedroom . Registered at the Land Registry Office Kadaster, number 4-H-168. Expiration date February 2nd, 2047. Long lease fee: US$ 360.- per year. This home is subject to a Home Owners Association (HOA). HOA fees: US$ 1,350.- per year. Please contact us in case you wish to receive further information about this HOA.